I Entered “The Groundhog Day Fun Photo Contest”! 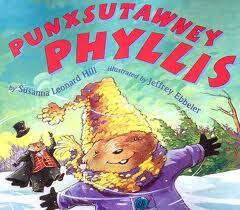 My brother told me about a Groundhog day picture contest that Susanna Leonard Hill is having. I like Ms. Hill’s Phyllis books (and “Can’t Sleep Without Sheep” 🙂 ). 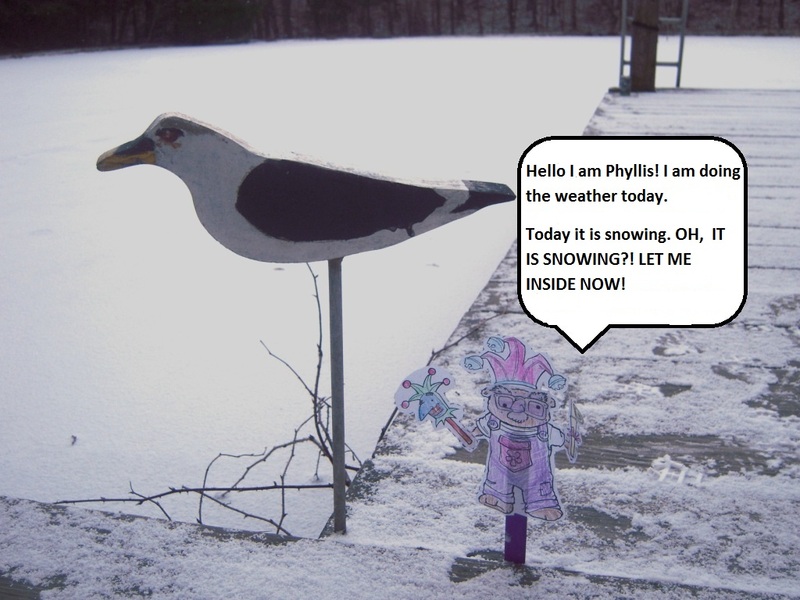 You had to make a Phyllis action figure and take her picture outside today. Ms. Hill’s contest rules are HERE. I took my picture at my grandparent’s pond. Phyllis did not see her shadow.